J. Paul Getty was a billionaire independent oil producer who founded and controlled the Getty Oil Company and over two hundred other related companies. Jean Paul Getty was born on December 15, 1892, in Minneapolis, Minnesota. His father, George Franklin Getty, was a lawyer, but in 1904 he moved his wife, Sarah Risher Getty, and his son to the Oklahoma territory to begin a successful career in the oil business. Two years later the family moved to Los Angeles, California, where young Getty attended private school before graduating from Polytechnic High School in 1909. After graduation Getty attended the University of Southern California and the University of California at Berkeley where he studied political science and economics. During the summers he worked on his father's oil rigs as a "roustabout," or unskilled laborer. In 1912 Getty enrolled in Oxford University in England, from which he received a degree in economics and political science in 1914. Afterwards he traveled around Europe before returning to the United States. In 1914 Getty arrived in Tulsa, Oklahoma, determined to strike it rich as an oil producer. Although he operated independently of his father's Minnehoma Oil Company, his father's loans and financial backing enabled him to begin buying and selling oil leases in the red-bed area of Oklahoma. In 1916 Getty's own first successful well came in, and by the fall of that year he had made his first million dollars as an oil producer. For the next two years Getty "retired" to the life of a wealthy bachelor in Los Angeles, but he returned to the oil business in 1919. During the 1920s he and his father continued to be enormously successful both in drilling their own wells and in buying and selling oil leases (renting out oil rigs), and Getty became more active in California than in Oklahoma. He amassed a personal fortune of over three million dollars and acquired a third interest in what was to become the Getty Oil Company. Paul Getty became the president of the George Getty Oil Company after his father's death in 1930. During the 1930s his wells continued to produce, and profits poured in. He also bought a controlling interest in the Pacific Western Oil Corporation, one of the ten largest oil companies in California. After a series of agreements with his mother, he obtained the controlling interest in the George Getty Oil Company. He also began real estate dealings, including the purchase of the Hotel Pierre in New York City. After World War II (1939–45), Getty took a gamble on oil rights in the Middle East. In 1949 he secured the oil rights in Saudi Arabia's half of the Neutral Zone, a barren area between Saudi Arabia and Kuwait. He made major deals with King Saud (c. 1880–1953), which shocked the large oil companies. After three years and a $30 million investment, however, Getty found the huge oil deposits that helped make him a billionaire. In 1957 Fortune magazine published a list of the richest men in America. Getty's name headed the list, and the publicity turned Getty into an object of public fascination and legend. After 1959 Getty stopped living out of hotel rooms and established his home and offices at Sutton Place, a sixteenth-century, seven-hundred-acre manor outside London, England. The huge estate, with its gardens, pools, trout stream, and priceless furnishings, was also a near fortress with elaborate security arrangements. Giant Alsatian dogs had the run of the estate, and there were also two caged lions, Nero and Teresa. marriage ended in divorce. He had five sons, two of whom died before him, and his relationship with each of them was difficult. 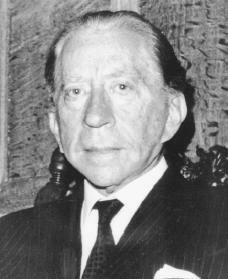 His grandson, J. Paul Getty III, was kidnapped in Italy in 1973. Although he was returned for a ransom (exchanged for money), part of his ear had been cut off. Jean Paul Getty died at Sutton Place on June 6, 1976. He is buried on his Malibu, California, estate. De Chair, Somerset Strubin. Getty on Getty: A Man in a Billion. New York: Sterling, 1989. Glassman, Bruce. J. Paul Getty: Billionaire Oilman. Woodbridge, CT: Blackbirch Press, 2001. Miller, Russell. The House of Getty. South Yarmouth, MA: J. Curley, 1987. Sampson, Anthony. The Seven Sisters: The Great Oil Companies and the World They Shaped. New York: Viking Press, 1975.